David Green is the owner of Harcourts Green Living. As a TOP 5 Sales/Marketing Consultant in Harcourts Queensland, David's success in the market is due to his local knowledge and enduring commitment to the area. With a sporting background in Rugby League, David understands that achieving results comes from hard work and dedication. David has an exemplary background in Sales and Service within the building and property industry and utilises his 26 years of sales knowledge to provide his clients with factual and genuine support through all phases of a property transaction. David takes pride in helping people realise their property goals and ambitions, breaking down real estate decisions by providing down to earth dialogue that is both transparent and informative. He also steadfastly points out that when selling or buying real estate the process should be exciting and rewarding for all concerned. David is a committed and active member of the Bayside business community, providing sponsorship and support to a wide variety of community initiatives and local schools. Ben Carroll, regarded as a consummate real estate professional has developed extensive experience in the industry since beginning his career in 2012. His capacity to thoroughly understand the objectives and goals of his clients has led to Ben consistently delivering exceptional outcomes. With an unwavering commitment and a comprehensive approach to developing a strategy for every property marketed, Ben ensures each client is confident in his ability to attain and exceed the desired result. Regularly acknowledged as a leader amongst his peers, Ben has been a multiple award winner based on the results he has achieved. An Iona College Old Boy and an active member of the local community, his passion for the local area is clearly evident. Ben’s previous experience includes working with and within business to business sales teams to develop marketing strategies as well as working in the commercial construction industry. When you deal with Ben Carroll you can be sure you are dealing with an experienced real estate professional who takes pride in working with each of his clients to provide exceptional results. Dan Parsons is a sales and marketing specialist for Harcourts Green Living. Dan grew up in Manly West and studied at Cannon Hill Anglican College, he attended Queensland University of Technology here in Brisbane and graduated with a Bachelor of Business. During his studies he successfully managed a number of retail stores becoming Operations Manager of 15 stores upon completion of his degree. After spending 12 years within a highly successful retail brand growing its team, network and brand he has taken a change into real estate. No stranger to the local market Dan along with his partner have successfully bought and sold numerous properties all in the Wakerely suburb improving them and always selling for a profit. Dans exceptional local knowledge along with his in depth understanding of the market and how to improve the value of a home will be a true assest to any buyer. Dans fresh approach and forward thinking will ensure he is your real estate professional for life, guiding you through the adventure of buying, selling or improving your home. A warm and friendly personality teamed with a youthful and energetic approach. Always smiling, she prioritises customer service as her primary role, ensuring the experience is positive for landlords and tenants alike. Gabby is motivated by the challenges that her role can present, always willing to go the extra mile to ensure an exceptional outcome for both landlords and tenants. Her outstanding communication skills and compassionate approach comes from a passion for premium customer service and she believes in having a positive attitude, no matter the situation. Hannah is a young highly motivated individual with a passion for people. Hannah enthusiasm and attention to detail brings with it a commitment to exceed her clients expectations in all facets of customer service. 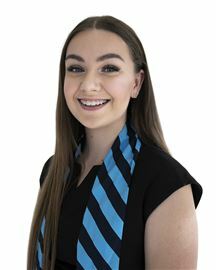 Hannah’s friendly and approachable personality and calm disposition mean she is extremely adaptable and dependable in her role as Leasing Consultant and Property Management Administration Assistant. With an extensive career background in Real Estate, both in Property Management and Property Sales spanning over 13 years, Jessica’s knowledge and experience ensures she is able to provide a complete Asset management package for her Investor Clientele. 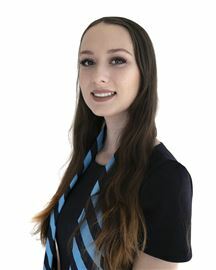 Jessica’s thorough understanding of the Investment Property market, coupled with her extensive comprehension of operational property Management, ensures she is able to demonstrate to her clients how best to maximise their property returns and minimise any risk, in today’s world both crucial strategies for successful property investment. Committed to providing a world class service, Jessica’s communicative approach and comprehensive advice gives Property Investors peace of mind that they will receive an unparalleled Property experience. As a Bayside local herself Jess describes this area as ‘her own slice of Paradise’ and feels privileged to be marketing properties in the backyard she knows and loves... To find out how she can help you achieve more from your Investment Property call her now on 0401 314 814. Tina’s position is in accounts; she is responsible for all accounts at Harcourts Gumdale & Bayside. She also works alongside the Property Managers as the business development side of Property Management is where her passion lies. Price Reduction! Must be SOLD! "Elegance on a Grand Scale"
Price Reduced, MUST SELL ! SOLD - Prior To Auction!